Wait time for heart surgery? After a few weeks of vacation time, I’m back to Health Care: On Location with another story from a fellow airplane passenger. I'm beginning to think I should call this blog Health Care: In Flight. This time I was seated next to a Fijian immigrant who has lived in Canada for 18 years. Mr. Fiji deemed all his Canadian health care experiences...positive. The most notable of his health care experiences was his heart bypass surgery. This is one of the procedures I’ve had some concerns about with respect to waiting times. Mr. Fiji told me about showing up one day at his doctor's office complaining of shortness of breath. The very next day, he saw the cardiologist. Day after, angiogram. Two weeks later, bypass surgery. Mr. Fiji hastened to say that had he experienced any pain, he was supposed to call the doctor and he would have undergone surgery immediately. This is the Canadian health care system working just as it is meant to work -- brief wait for a serious but non-emergent conditions, no wait for a true emergency. The British Columbia Health Ministry actually has a website where you can see the wait times for each physician for each "elective" surgery. 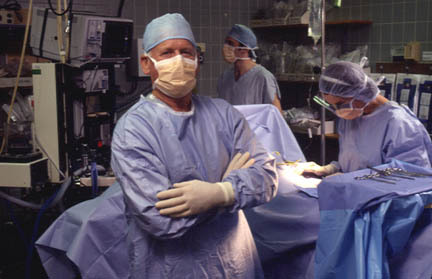 http://www.health.gov.bc.ca/swt/ When I think "elective" surgery, I'm thinking tummy tuck not bypass surgery. But for the purposes of the wait time website, it means any surgery that isn't an emergency. The website shows that according to the most recent 2011 statistics in the Vancouver area, 50% of the patients received their coronary bypass surgery within 3.2 weeks and 90% within 11.1 weeks. These statistics do not include emergency patients. They received their surgeries immediately. In 2004, the Canadian government committed to the Ten-Year Plan to Strengthen Health Care. This plan included setting medically acceptable benchmarks for wait times for certain procedures including coronary bypass surgery. According to the Canadian Institute for Health Information, in 2010 the provinces were meeting the benchmarks for bypass surgery at a rate of 95%-100%. In British Columbia it was 99%. Here’s a link to a chart showing how each province is doing in meeting the benchmarks for several other procedures: http://www.cihi.ca/CIHI-ext-portal/internet/en/document/health+system+performance/access+and+wait+times/release_21mar11_fig1 . The more I talk to Canadians, the more persuaded I am that generally people are getting the care they need, when they need it.